We're going to perform the Blues in C...but this time, on the Ukulele! We've coloured the chords to match the chord layouts on the Ukuleles. All you have to do is match up the colours for each chord in the progression. Each box lasts for FOUR BEATS. You can simply play each chord FOUR TIMES in a bar, or you can play the chords to a rhythm lasting the duration of a bar. 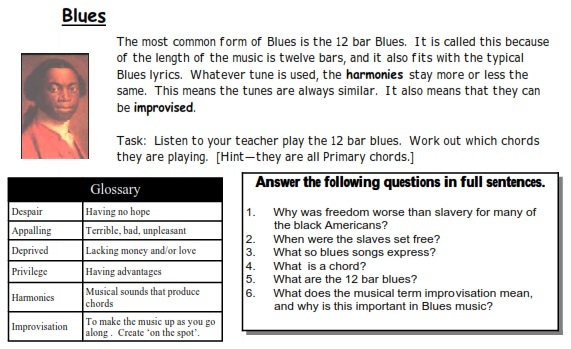 Play the first chord in each bar. If you can do this, move on to playing chords on the first AND second beats of each bar. Play the correct colour chord on the first 3 beats of each bar. When you can do this, try playing chords on all four beats of each bar. 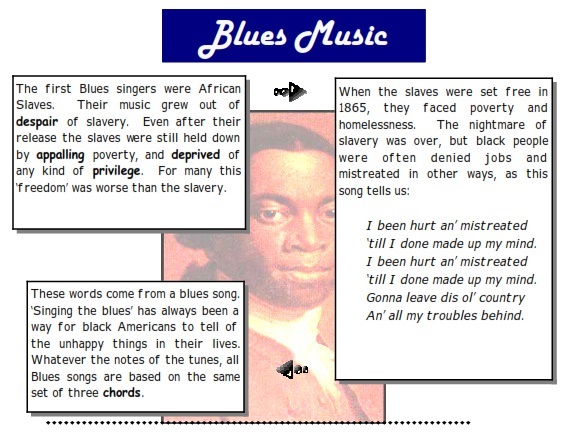 ​Can you create your own cover of one of these songs using your knowledge of the 12 bar blues?